Hypertension or high blood pressure is a quite common disorder affecting many people who typically don’t even notice any symptoms now in order to gain a better understanding of pharmacology of antihypertensive agents first we need to review a basic physiology of blood pressure regulation so when we talk about blood pressure we are generally referring to the force or tension of blood pressing against the artery walls now this pressure in the arteries is maintained by among other things contraction of develop ventricle systemic vascular resistance elasticity of the arterial walls as well blood volume in other words blood pressure is simply a product of cardiac output and systemic vascular resistance there are a couple of major systems involved in blood pressure regulation first arterial blood pressure is regulated by pressure sensitive neurons called baroreceptors located in the aortic arch and cartridge sinuses. So, for example if blood pressure Falls too low those baroreceptors can send signals to the adrenal medulla causing release of catecholamines and that increase in sympathetic activity to activation of alpha and beta receptors so activation of beta 1 receptors causes increase in heart rate and stroke volume and that increase cardiac output which leads to increase in blood pressure on the other hand activation of alpha 1 receptors on smooth muscle causes vasoconstriction and that increase in vascular resistance which again leads to increase in blood pressure now another major system involved in blood pressure regulation is the renin-angiotensin-aldosterone system so we also have better receptors in the kidneys that respond to fall in blood pressure or reduction of blood flow by releasing enzyme called renin additionally renin secretion is also stimulated by sympathetic activation of beta 1 receptors in the kidneys now renin is necessary for the production of angiotensin ii angiotensin ii is a very potent basal constrictor which constricts systemic blood vessels thus increasing peripheral resistance angiotensin ii also constricts renal blood vessels and stimulate aldosterone secretion which leads to sodium and water retention thereby increased blood volume cardiac output and ultimately increased blood pressure. Now let’s switch gears and let’s talk about anti hypertensive agents so there are several major classes of antihypertensive drugs which work by interrupting different parts of the blood pressure regulating system first we have alpha one blockers such as doctors olsen and prazosin which block alpha one receptors on the smooth muscle that’s causing decrease in systemic vascular resistance and ultimately decrease in blood pressure next we have selective beta blockers such as ethanol and methanol which selectively block beta 1 receptors on the heart thus causing decrease in cardiac output and thereby decrease in blood pressure as you may remember we also have non-selective beta blockers such as libido and carvedilol that can additionally block alpha 1 receptors and thus simultaneously decrease vascular resistance. non de hydro 13 now the hydro pyridine selectively inhibits l-type calcium channels in the vascular smooth muscle under normal conditions when a calcium enters the smooth muscle cell it causes it to contract which leads to increased vascular resistance and thus increase in blood pressure so when the hydrogen drug blows the entry of calcium into the vascular smooth muscle cell the contraction is inhibited which leads to decrease resistance to blood flow and thus lowering of blood pressure example of drugs that belong to this group or unloading the Laura teen my car doping and nifedipine when it comes to side effects of dihydrocodeine they’re related to systemic vasodilation so you can expect dizziness headaches flashing and peripheral edema another side effect that may occur with this class is swelling of gums also known as gingival hyperplasia now let’s move on to non dihydrocodeine which are non selective inhibitors of l-type calcium channels in other words they are not only capable of blocking calcium channels on vascular smooth muscle but also calcium channels on cardiac cells such as those of SA node and AV node which leads to reduce myocardial contractility slower heart rate and slower conduction now why this agents exhibit significant antiarrhythmics properties. For more details make sure you check out my POst about anti-arrhythmic drugs now it’s important to remember that even though decreased heart contractions typically result in decreased cardiac output nonde Hydra proteins do not significantly decrease cardiac output most likely because of the reflex tachycardia that occurs as a result of basal dilation currently there are only two drugs that belong to this group namely Delta ISM and verapamil now when it comes to side-effects nonde hydro proteins can cause excessive bradycardia and cardiac conduction abnormality additionally verapamil which happens to be delete selective calcium channel blocker can exert significant inhibition of calcium channels in the smooth muscle that lines the GI tract which can lead to constipation now the next major class of anti hypertensive agents are diuretics there are three major classes of diuretics that are used in the treatment of hypertension first we have loop diuretics such as zero summize which work by reducing reabsorption of foreign chlorides in the kidneys leading to significant diuresis with less volume in the vascular space less blood returns to the heart so cardiac output decreases this in turn leads to decrease in blood pressure particularly in patients with volume based hypertension and chronic kidney disease secondly we have Syfy’s diuretics such as hydrochlorothiazide which also reduce reabsorption of sodium chloride in the kidneys but we much smaller degree than loop diuretics this leads to initial decrease in intravascular volume decrease in cardiac output and ultimately lower blood pressure however the long term effects on blood volume are minimal and sustained antihypertensive effects are thought to be produced by taifa induced vasodilation. Lastly we have potassium sparing diuretics such as triamterene and spironolactone which increase Tyrese’s by either interfering with the sodium potassium exchange in the kidneys or by blocking the actions of aldosterone protecting sparing the heretics are often used in combination would look anti as AI diuretic to reduce loss of potassium that can occur with the use of these drugs for more details may sure you check out my video about diuretics now let’s move on to another group of anti hypertensive agents that is agents that work on the renin-angiotensin-aldosterone system so here we have three pharmacological targets that can be used to reduce the activity of angiotensin 2 which is ultimately responsible for causing blood pressure to increase. Vanessa trill captopril and now ‘april lisinopril quan apparel and ramipril finally we have angiotensin ii receptors type one or eighty one receptor for short so binding of angiotensin ii to these receptors is actually responsible for most of the effects of angiotensin 2 including vasoconstriction and stimulation of aldosterone release these receptors are the target of angiotensin ii receptor blockers or ARBs for short the example of drugs belong to this class our candesartan Erebus arson loss arson Alma’s arson and valsartan so in summary the agents that work on this renin-angiotensin-aldosterone system either block the production of angiotensin 2 or block its actions on the 81 receptors this in turn leads to decrease systemic vascular resistance but without significant changes in cardiac output additionally these agents reduce the effects of angiotensin 2 on the renal hemodynamics specifically angiotensin 2 constricts the afferent arteriole thereby generating back pressure in the glomerulus which can lead to injury so by reducing activity of angiotensin 2 these agents also improve renal blood flow and thereby reduce the risk of renal injury now when it comes to side effects because these agents suppress aldosterone release their use can contribute to the development of hyperkalemia. 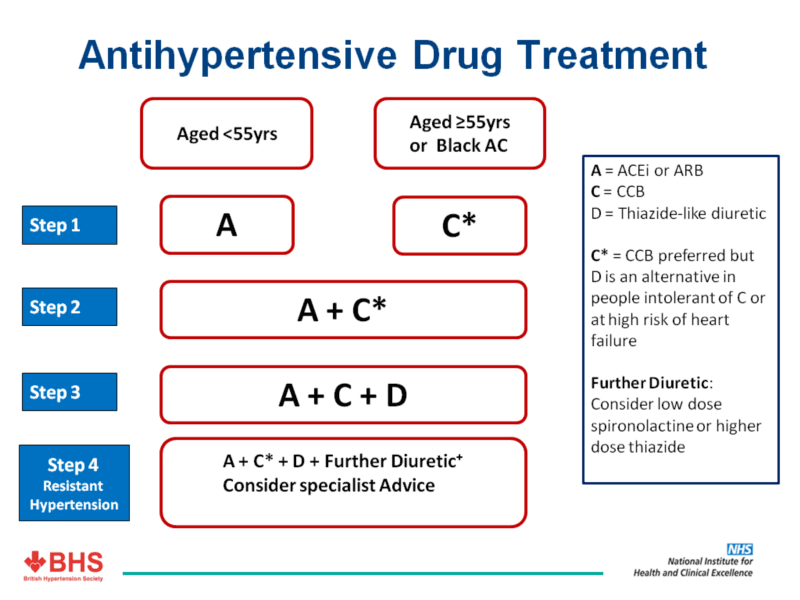 Furthermore, ACE inhibitors in particular may cause dry cough or in rare cases angioedema which can be life-threatening this is thought to be due to increased levels of bradykinin and substance P now before we end this lecture I wanted to briefly discuss few other anti hypertensive agents that do not fall into any of the classes that we cover thus far so first we have both Anton which is a competitive antagonist of a potent vasoconstrictors called endo q and one which acts on the end of 2 and ay and endothelium be receptors located on pulmonary vascular cells by blocking the action of endo 2 and 1 on interceptors both sent in leads to vasodilation which decreases pulmonary vascular resistance for that reason both engine is often a drug of choice for treatment of pulmonary hypertension next we have another pan which is a selective dopamine one receptor agonist the dopamine 1 receptors are located on the smooth muscle cells in the peripheral vasculature as was the renal coronary cerebral and mesenteric arteries by stimulating dopamine one receptor when all the time produces generalized RTL vasodilation which leads to decrease peripheral resistance and thus lower blood pressure. Additionally then all the time inhibits tubular sodium reabsorption which results in naturey rhesus and diuresis due to its rapid onset of action and short duration of action ronaldo ban is often used in the hospitals for short-term management of severe hypertension another fast-acting agents that are also used for hypertensive emergency are sodium nitroprusside and nitroglycerin which simply serve as a source of nitric oxide a potent peripheral vasodilator lastly we have direct acting smooth muscle relaxants namely hydralazine with mechanism of action that has not been entirely determined yet and minoxidil which works by stimulating opening of ATP activated potassium channels in that smooth muscle which leads to membrane stabilization making vasoconstriction less likely while these agents significantly decreased peripheral resistance they also produce significant compensatory reflex tachycardia and ranan release for that reason these drugs are typically administered in combination with a diuretic and a beta blocker on the flip side topical application of minoxidil promotes hair growth which is why this drug is used more often for treatment of baldness rather than hypertension and with that I wanted to thank you for watching I hope you enjoyed this video and as always stay tuned for more.